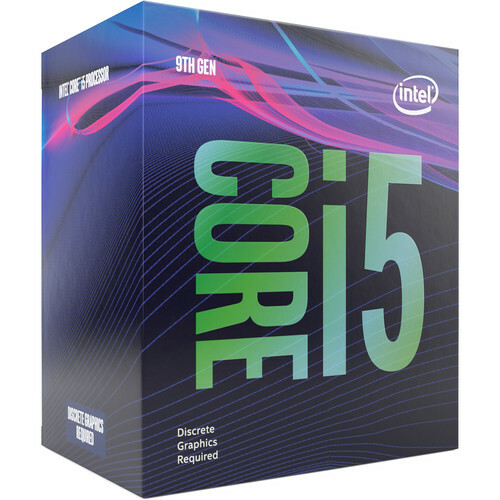 Boasting six cores and six threads, the Core i5-9400F processor from Intel has a 2.9 GHz base clock speed and a 4.1 GHz maximum boost speed. Compatible with LGA 1151 motherboard sockets, this 9th-generation Core i5 CPU has a 9MB Intel Smart Cache and supports DDR4-2666 memory, and it also supports Intel Optane memory. This F-series processor lacks an integrated graphics core, meaning you'll need to use it with a discrete graphics card. A CPU cooler is included. Box Dimensions (LxWxH) 4.7 x 4.4 x 2.85"